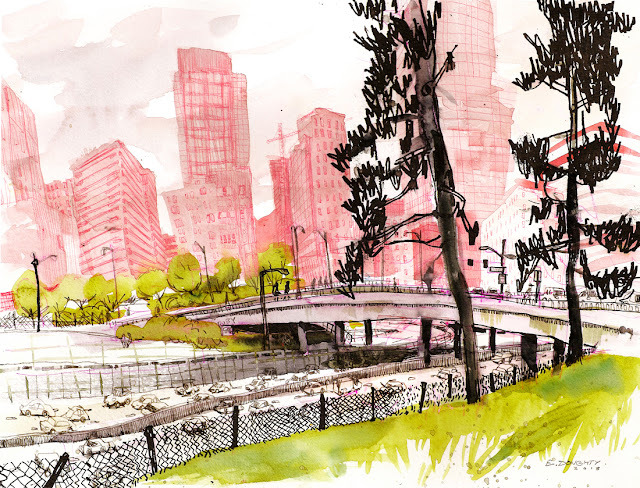 In a beautiful city like Seattle, I've surprised myself by being so attracted sketching the highway of all things, but here we are. 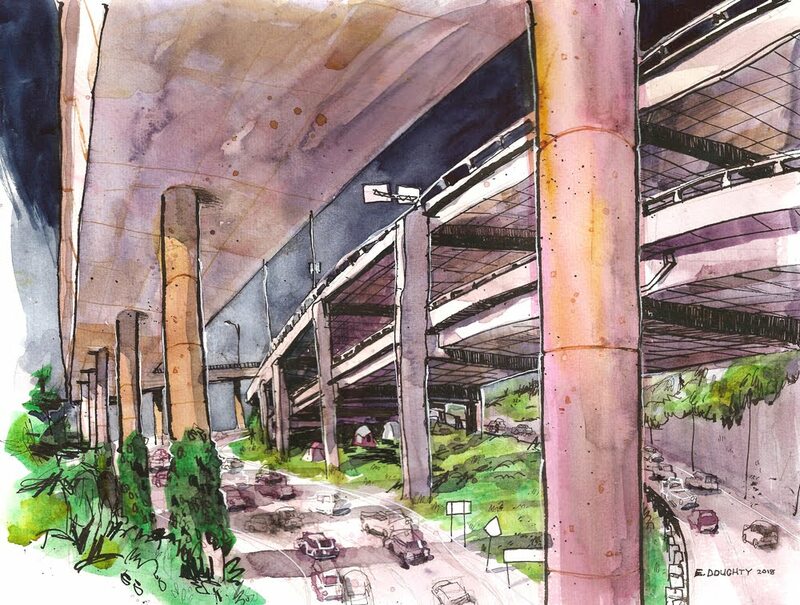 Mercer Corridor along I-5 is an area designated as one of Seattle's "emphasis zones" – which are "places where an encampment has become a consistent problem". It's also very close to where I live. 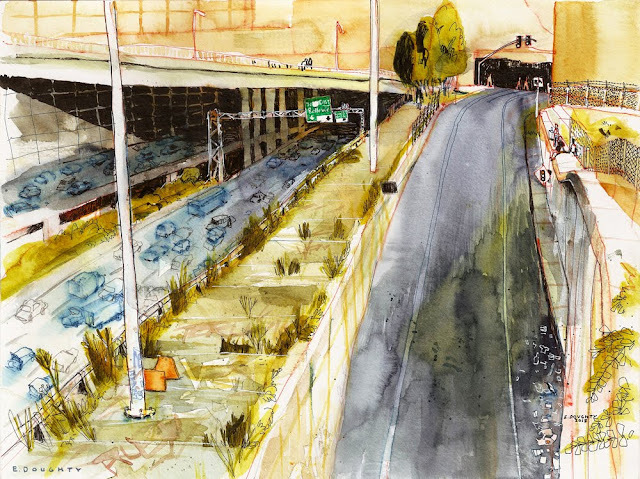 These paintings contrast the traffic, chaos, and sale of the freeway with the people who live their lives around the structures. It might be hard to see at the small scale here but there are tiny people in the landscapes if you look for them. I sketched all three of these from life while standing above I-5, drawing as fast as I could so as to minimize the amount of fumes I breathe. These + a few more paintings will be on display for one night only - Thursday 7/19/18, 7pm-2am - at Lovecitylove in Capitol Hill!